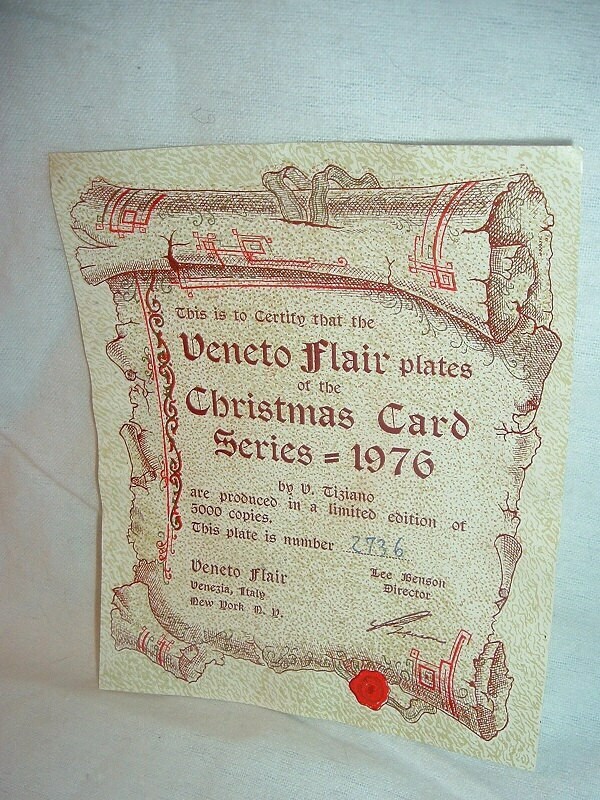 This 1976 Veneto Flair Christmas Card Series plate measures approx. 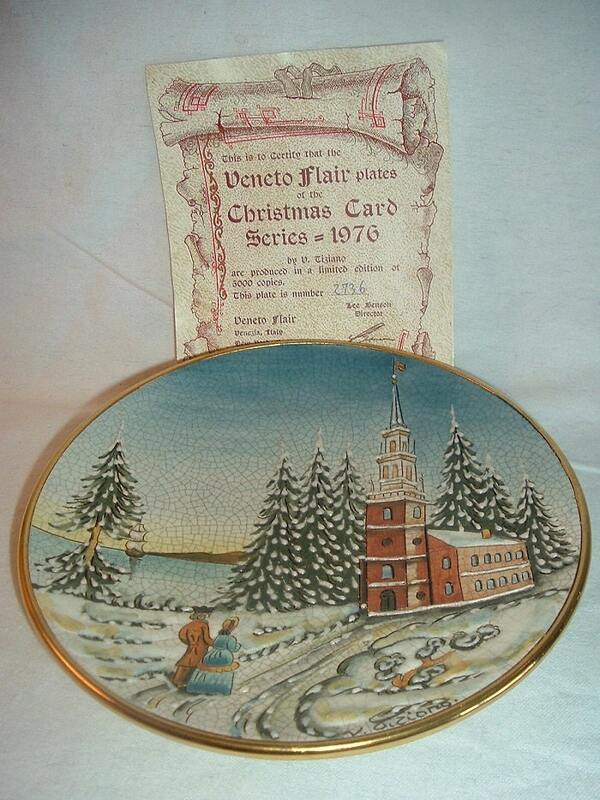 7.5" across. 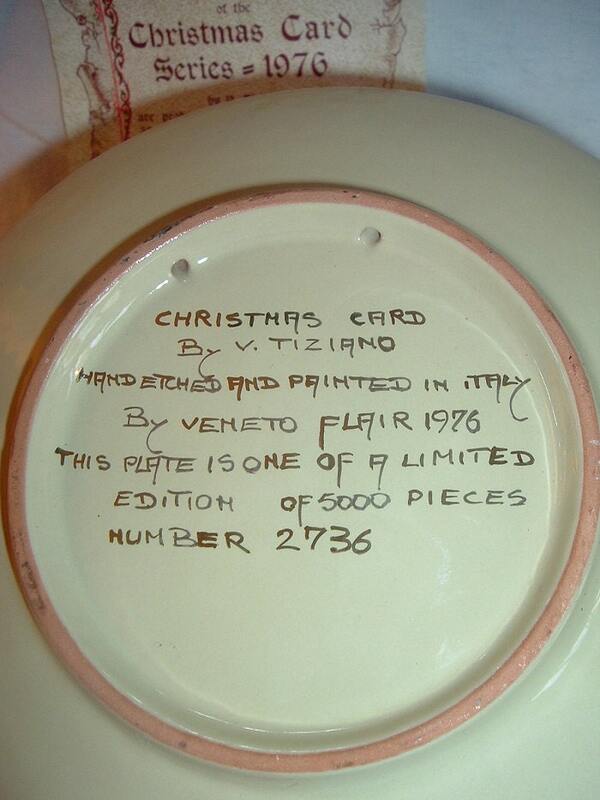 This is part of a limited edition, hand etched and printed in Venezio Italy -- the artist is V. Tiziano. 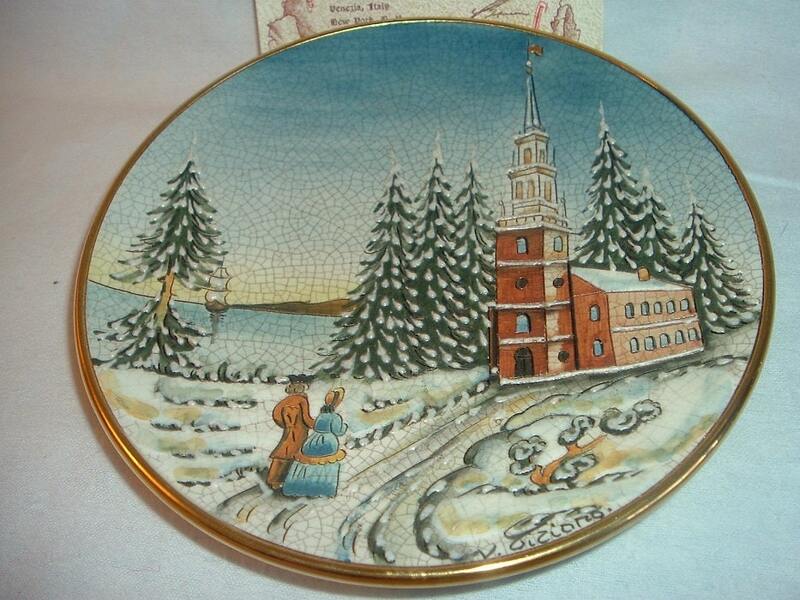 The plate is excellent with no chips, no cracks, and no wear or scratching. It is done in an old world antiqued style -- the dark craze like background is intentionally incorporated into the design. It comes with its COA, which is a bit wrinkly, but still in good shape. No box. I gladly combine shipping!